Show-hunter competitions differ from showjumping in several ways. The jumps (a maximum of 10) are laid out around the perimeter of the ring and have a more natural appearance than the brightly coloured showjumps. There are restrictions on the type of tack (saddle and harness) that can be used, as the horse or pony is expected to be well-schooled and balanced. Turnout and style is important. 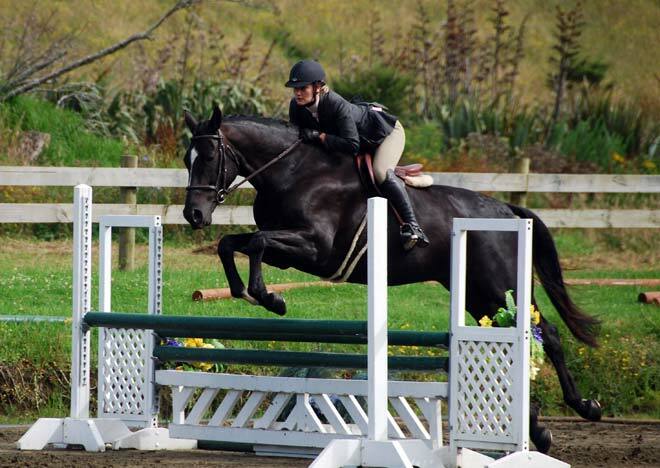 Here, Stephie Joustra on her gelding Disney wins the Show Hunter Waitematā championship in 2012. The pair went on to win the KiwiSpan Open Horse show-hunter competition at the 2012 Horse of the Year show.